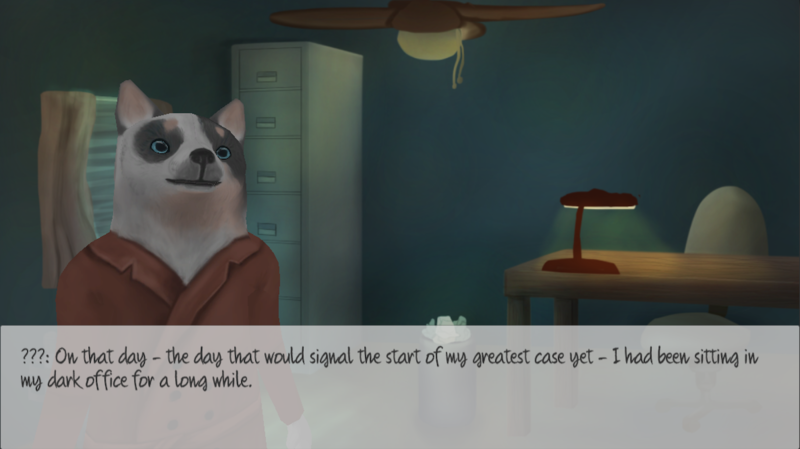 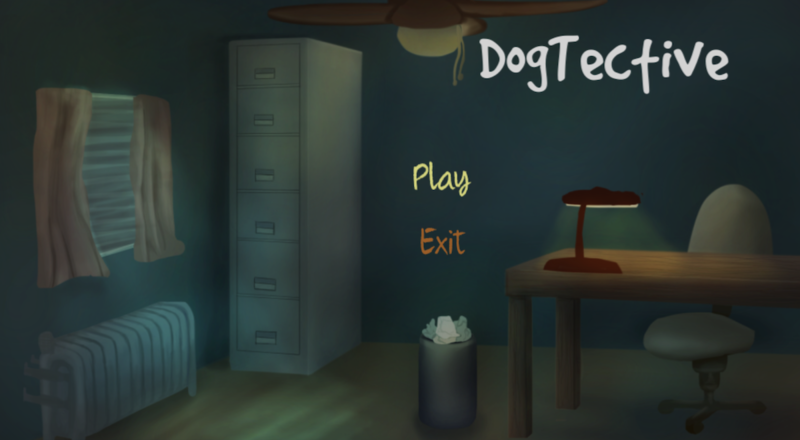 DogTective is an interactive storytelling game developed in Unity3D. 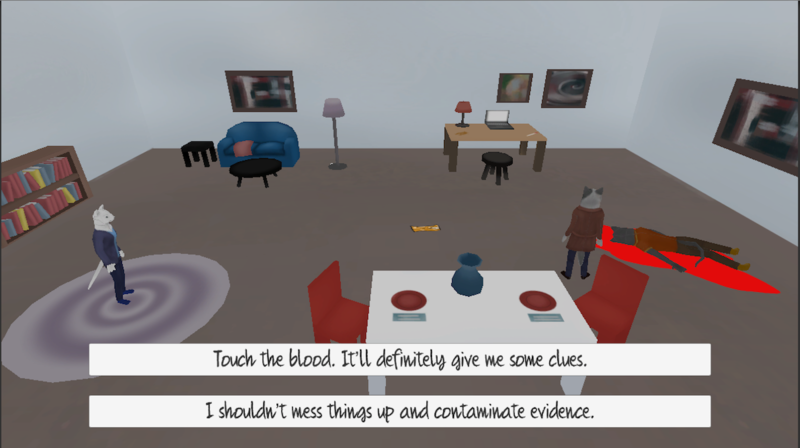 This story randomly generates a culprit and has 14 possible branching endings. 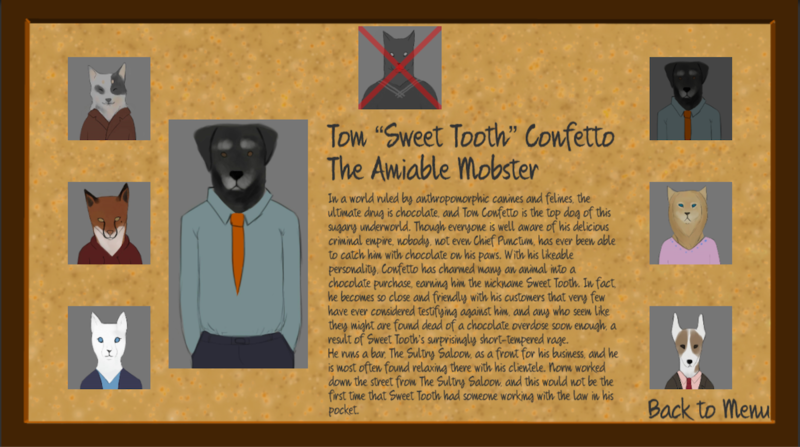 For design and implementation details, please visit this design document.